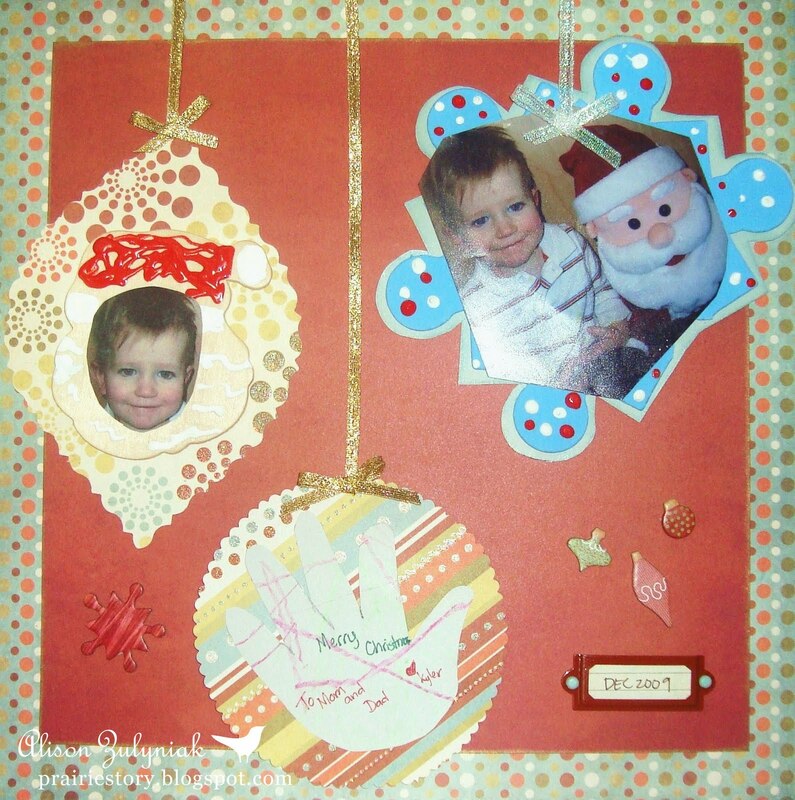 It's a HOT day here on the prairies, which makes it even weirder that I'm posting a Christmas scrapbook page. Kyler made us some Christmas crafts last year which I themed into an ornament page! Paper: We R Memory Keepers Grandma's Kitchen. Ink: Martha Stewart Metallics Aqua and Gold. Other: Offray Metallic Gold & Metallic White Ribbon, Basic Grey Eskimo Kisses Chipboard Stickers, Fancy Pants Daily Grind Label Holder, Crate Prudence Painted Brads.